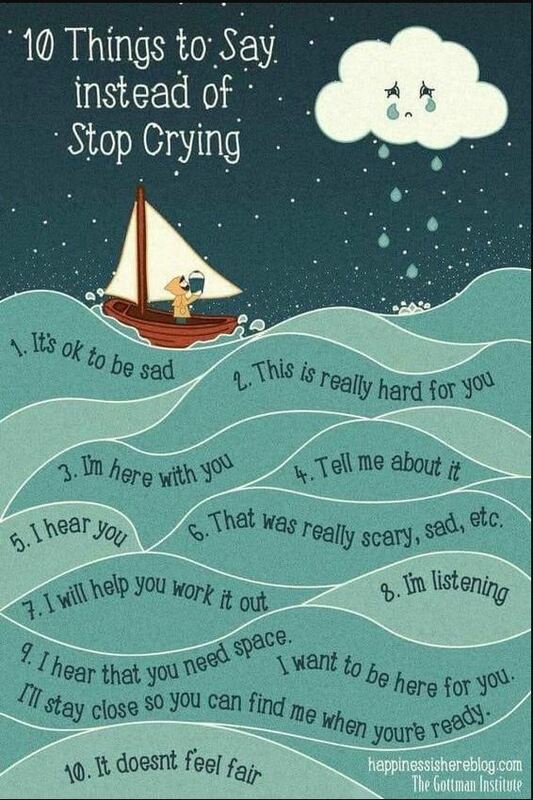 This poster suggests things to say to an upset child to put them at ease, other than “stop crying”. The alternative phrases offer a more supportive, collaborative Me first-style approach (as demonstrated in our communication model). The poster could be helpful both in clinical situations for health and social care professionals, perhaps if a child is frightened before a procedure, or for parents when their child is upset. This resource is from happinessishereblog.com and The Gottman Institute.